Reading Time: 3 minutes In rehearsals, the actors try together with the director to enter as deep as possible into the character he/she will present on stage. 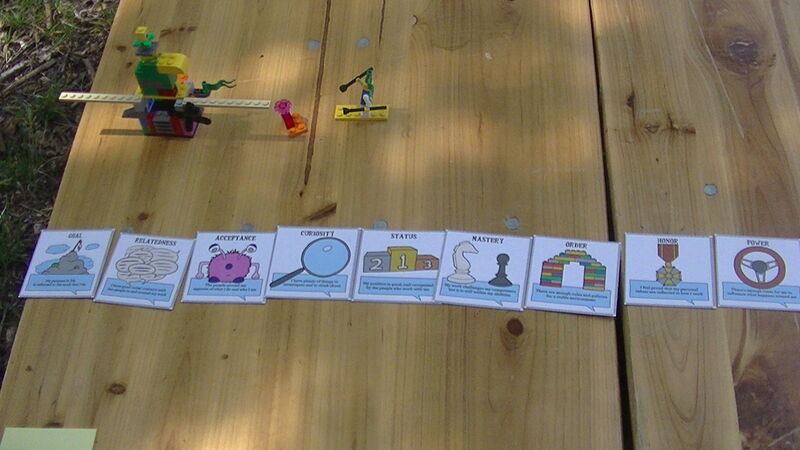 We did it with Lego Serious Play and Moving Motivators (Mgt3.0). 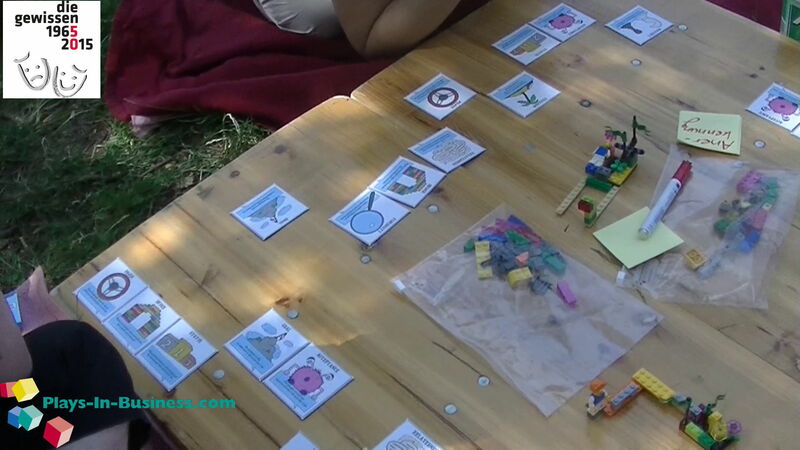 I combined Lego Serious Play to model metaphorical the stage character role with Moving Motivators, a method from Management 3.0, to identify what motivates each individual character. The benefit of the approach: within only 2,5 hours we elaborated with 11 actors their complete role profile and each character's intrinsic motivations. In rehearsals, the actors try together with the director to enter as deep as possible into the character he/she will present on stage. There are a lot of different — even contradictory —philosophies and acting schools how to do stage character profiling. The most famous one is the Stanislavski Method — taught by Lee Strasberg as Method Acting. The basic idea behind Method Acting is, that actors should utilize, among other things, their emotional memory (i.e., they recall past experiences and emotions). Thus, the actor’s entrance onto the stage is considered to be not a beginning of the action or of his life as the character but a continuation of the set of preceding (actor's) circumstances. A lot of famous movie actors and Oscar laureates originate from Strassberg's Method Acting: Christian Bale, Marlon Brando, Nicolas Cage, Michael Caine, Robert De Niro, James Dean, Johnny Depp, Jane Fonda, Anne Hathaway, Heath Ledger, Philip Seymour Hoffman, Marisa Tomei — to name a few only. 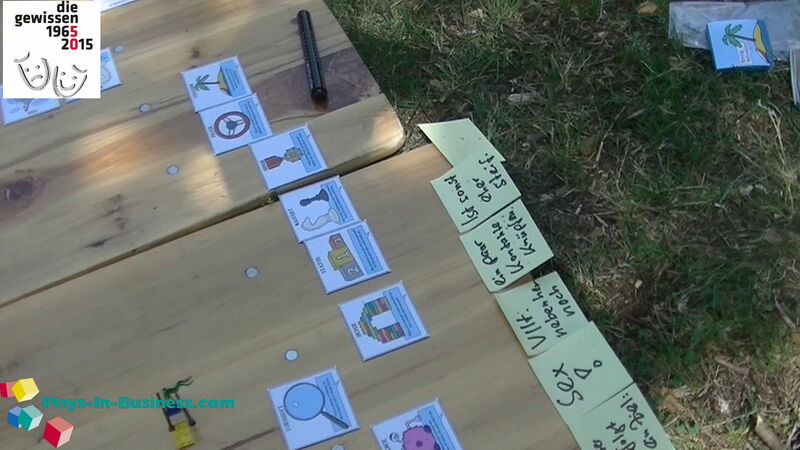 The main objective of these exercises is to develop a sense for motivations and actions of the character: "Why does he/she behaves in certain situations or circumstances?" — "What defines his/her personality" — "What is driving him/her?" As you image, all these training are very time-consuming since the actor has to train his/her concentration and his/her senses so that he/she may respond freely to the total stage environment. 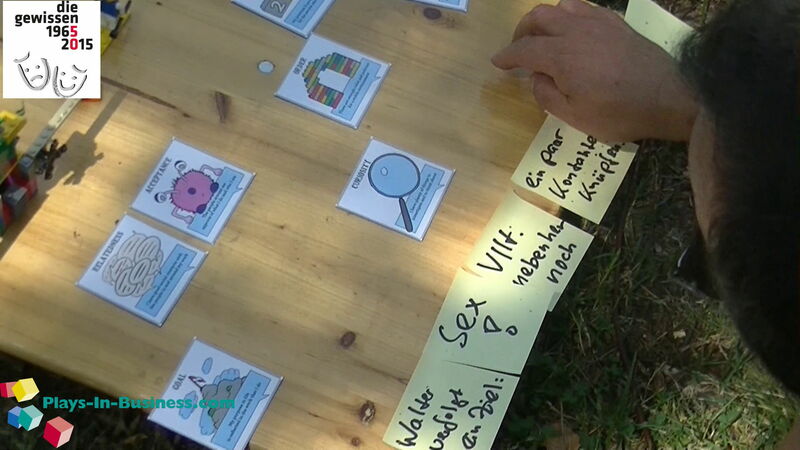 Having a long time experience working in off-theater groups as actor and director I took a new approach to stage character profiling for the theater die gewissen, a theater group I work with since years and has this year 50-th anniversary. 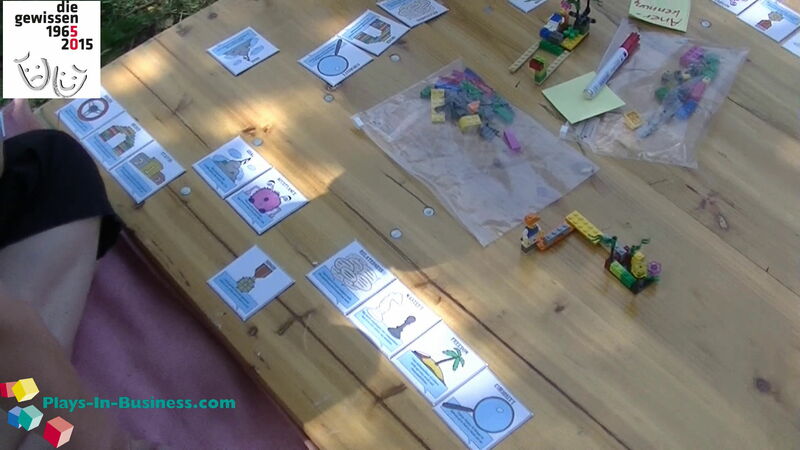 I combined Lego Serious Play to model metaphorical the stage character role with Moving Motivators, a method from Management 3.0, to identify what motivates each individual character. The benefit of the approach: within only 2,5 hours we elaborated with 11 actors their complete role profile and each character's intrinsic motivations. 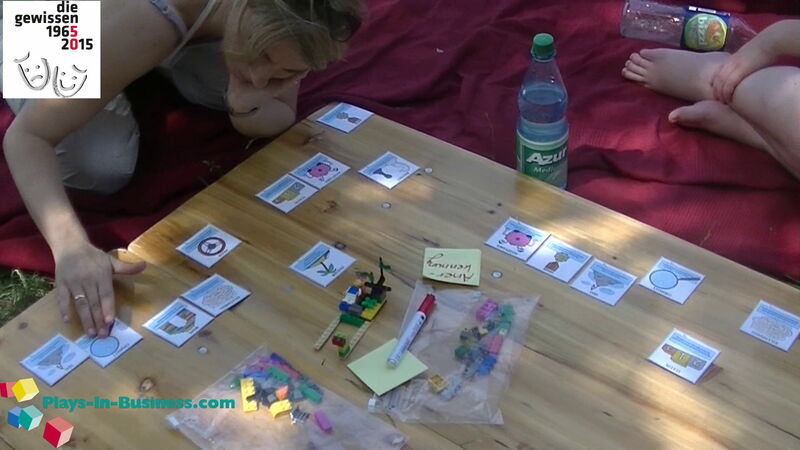 Lego Serious Play (LSP) is a structured facilitation technique I use for strategic decision-making and problem resolution in business environments. 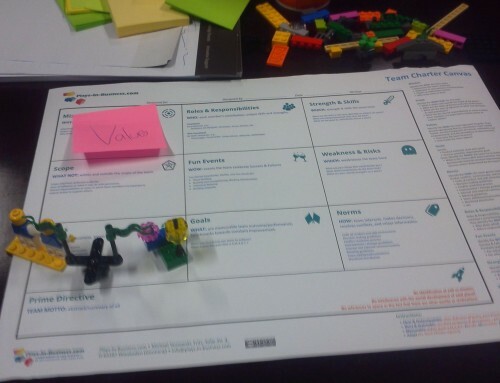 Its goal is fostering creative thinking through building metaphors of organisational identities and experiences using Lego bricks. 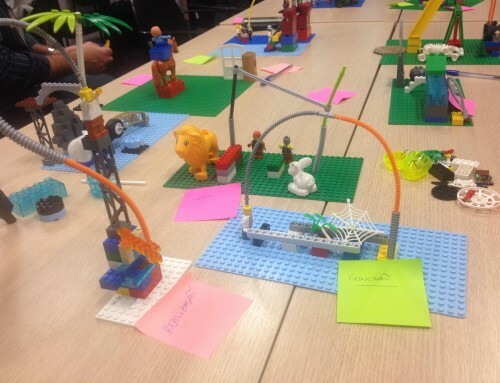 Participants work through imaginary scenarios using visual three-dimensional Lego constructions. 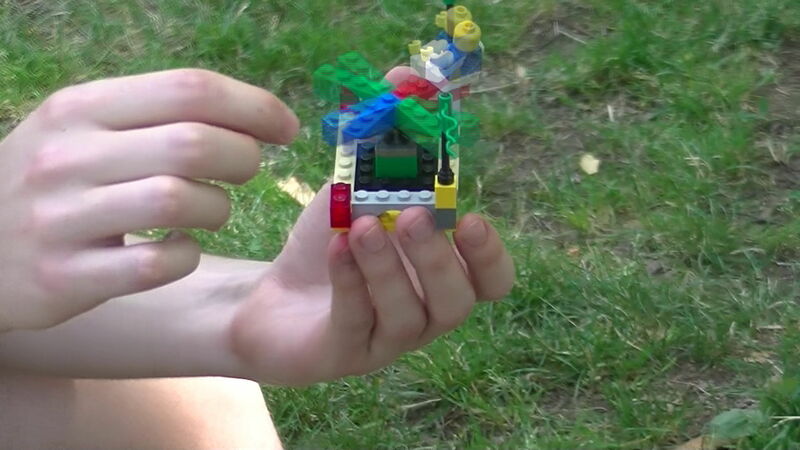 Within a Lego Serious Play workshop, a facilitator poses questions which the participants answer metaphorically by building Lego models. 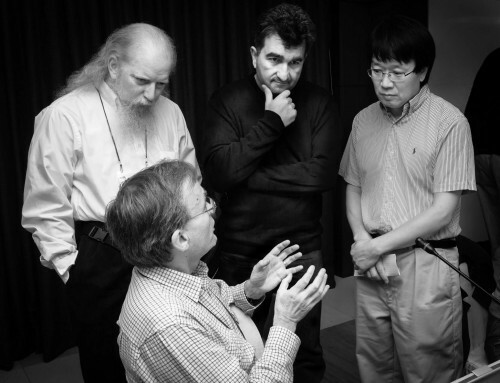 By sharing the interpretation of each model, everyone gets attuned to a common interpretation and understanding. All actors got the same set of Lego bricks. Then everyone was asked to just play with the bricks without further thinking or reflecting: built what "comes out of your hands". When finished with building, the actors were confronted with the most crucial question:"Explain, how/why what you had built, reflects the basic elements of the character's role you will play". 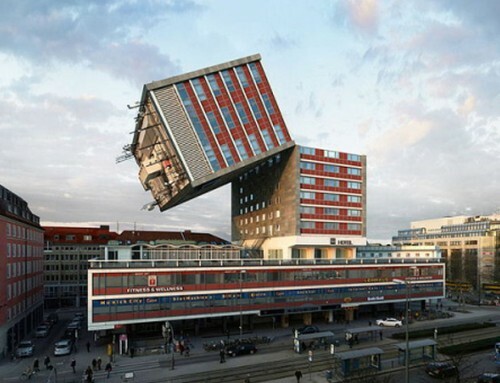 Building the Lego models was unintentional — no one knew the purpose, everyone was in flow to "play with the bricks". Everyone get in stress by time-boxing. Everyone realised immediately: the Lego model built is always a viable answer - to all question phrased. Within 10 minutes, you can built a stage character for the role you play. 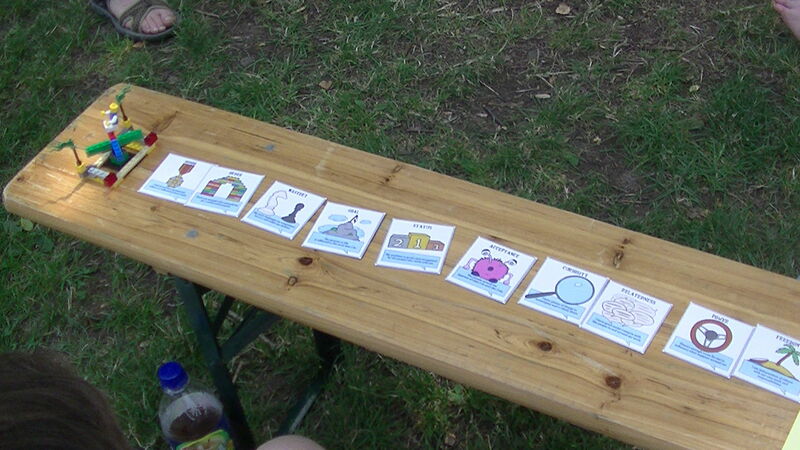 I asked each actor to prioritise the cards — which show the motivational factors according what fits best to the character they will play — by aligning them in a row: starting from left (highest) to right (lowest) value. When finished I asked the actor to explain their choices in a round-robbing to the group. 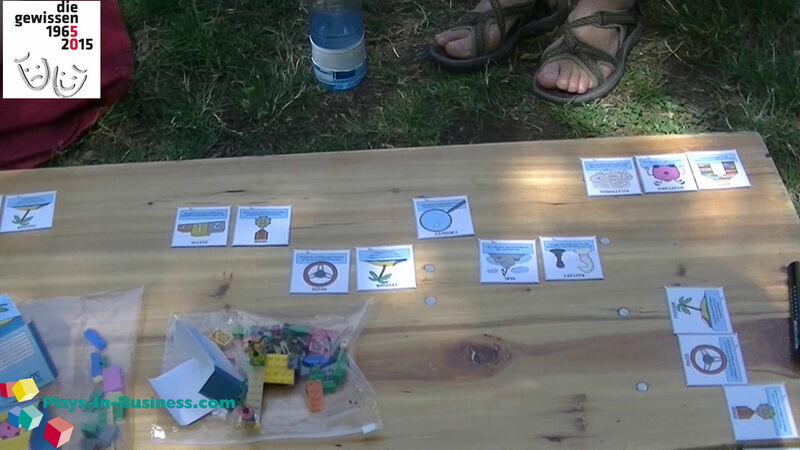 Then I asked everyone to pick up some scenes in the play and to move the motivators up or down while keeping the order, reflecting how their character would behave in that scene: moving a card up — the motivator increases; moving a card down — the motivator decreases. Within a very short time, everyone can identify its individual major motivational prioritisation (I used 20 min for this exercise). Everyone reflects how certain situations/circumstances might affect the ups and downs of his/her motivations. By sharing its individual perspective, all in the theater ensemble get a common understanding. For sure, this kind of exercise opens the actor's minds for a thorough stage character profiling only. Its up to the actor, do work on real emotional connections and bridging motivations and feelings with actions. 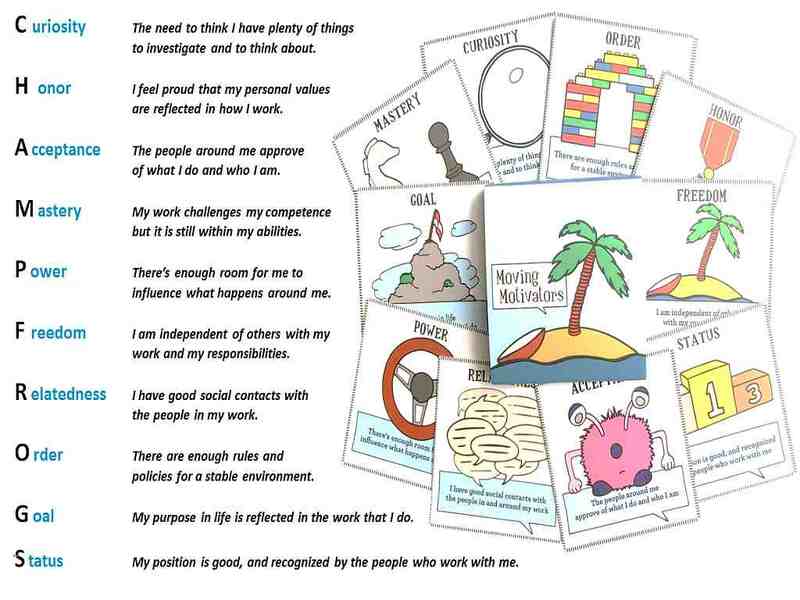 The two exercises are very helpful in creative brainstorming and role reflections. 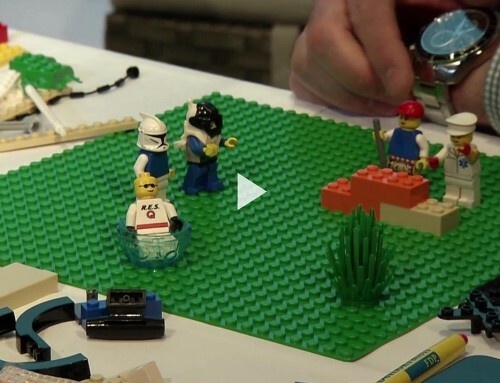 The following video (in German) shows the Lego modeling and the motivation identification. This post appeared also in the LEGO Serious Play community at SeriousPlayPro.com.